Can be used for multiple purpoces. Nice choice to dress your chandelier. Placed in window ornament will make rainbow. According to Feng Shui it brings Harmony and Fortune. Hung in windows, crystals can bring chi energy from the outside into dark areas of your home or office. A crystal placed in the south-east, north-west, or center of a room can aid in stimulating prosperity. We offers high quality crystal chandeliers & lighting fixtures at low and affordable prices. High quality lighting fixtures with handmade or machine cut crystals are our main product. Factory direct prices. Ideal decoration for ceiling light,chandelier ,lamp,candelabra etc. 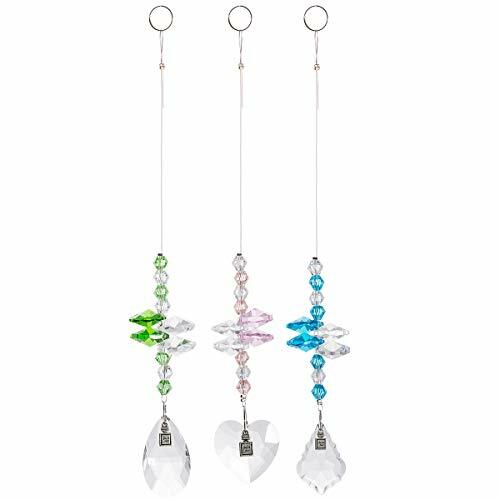 Thanks to these beautiful chandelier suncatcher,you can create light reflections in your house or office in the most stylish and elegant way.Light Reflection Can Make Your Space Look Bigger! 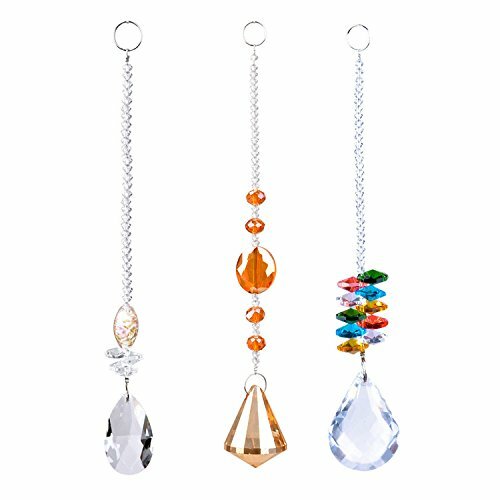 Feature: Each suncacther length:8.6in(22cm);Prism size:1.2in(30mm) Material: All pendants, 100% fine crystal glass, not acrylic material! 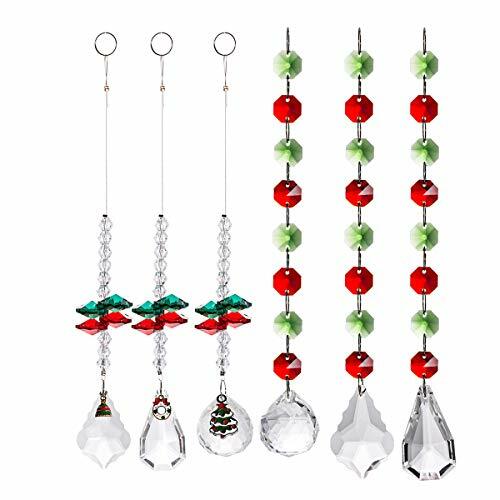 Package includes: 3 x Colorful Crystal Ball Pendant With a 35.4 inch(90cm) ribbon:Here Are Some Decoration Ideas! You can hand the crystal pendants on many different places both inside and outside your house, including your: ? Chandeliers ? Windows ? Walls ? Shelves ? Cabinets ? Curtains ? Car ? Porch ? Balcony ? Front door ? Trees ? 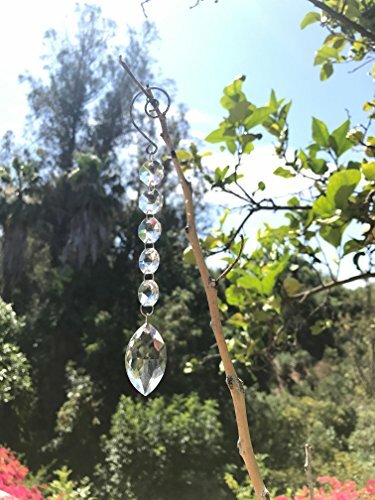 PlantsBe creative and place the elaborate sparkly suncatchers on spots where they could easily catch the sun or artificial lights! 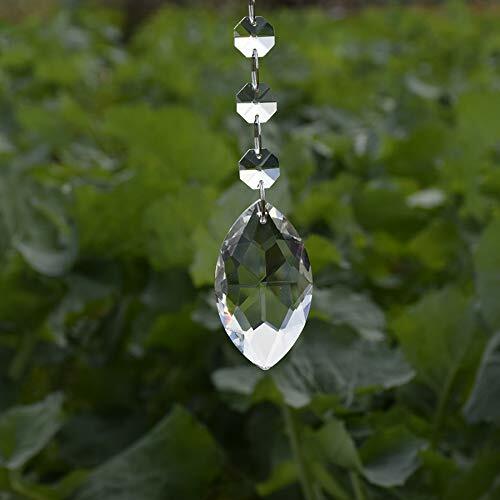 This beautiful chandelier prisms Pendant are not made of no plastic or acrylic but top excellent quality crystal glass,very Pure and Clean. 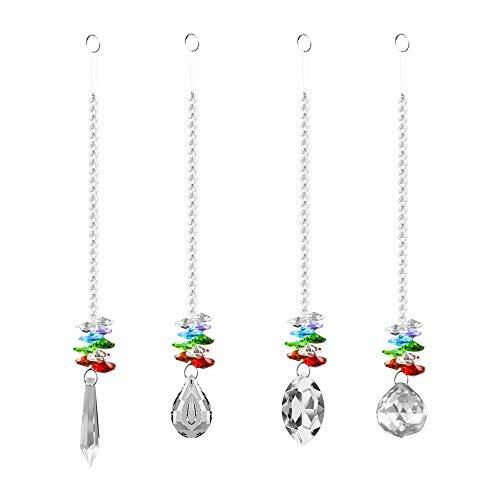 Replace your old chandelier pendants on your light fixture with those faceted crystal pedants, beautiful, rich and bright rainbows will be full of your house. Also Decorate it with tables, candles, vases, cake stands, chairs or anything you can imagine. 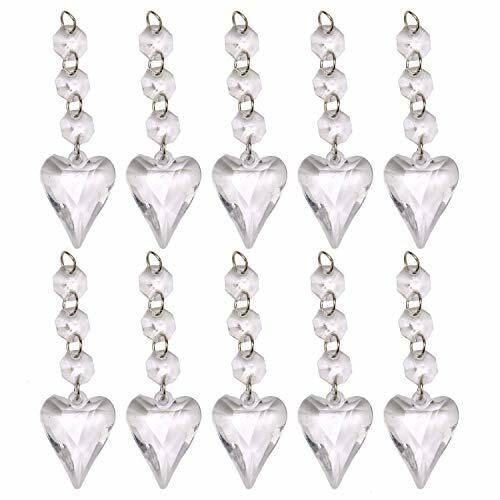 Package included 12pcs Chandelier crystal pendants About Picture Due to the light and screen setting difference, the item's color may be slightly different from the pictures. 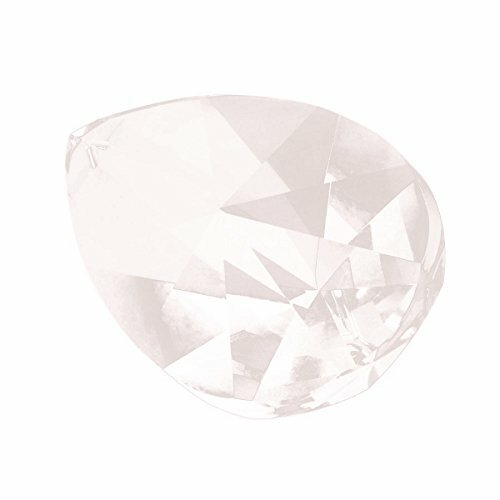 Thanks for your understanding and happy purchase! 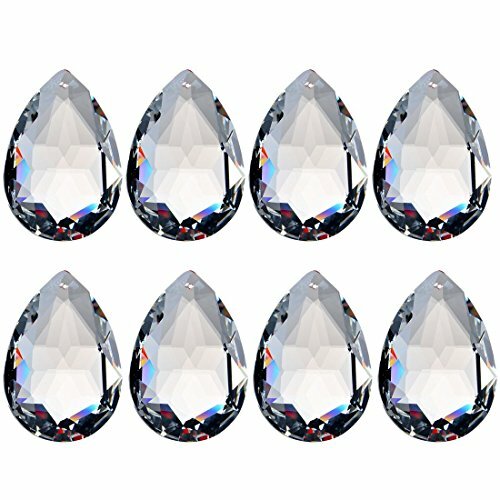 About ProductsThis Beautiful Collection of 15 High Quality NEW Faceted Clear Teardrop crystal Glass Prisms can be used for chandelier pendants, Christmas tree decorations, Weddings, Jewelry Making, Craft Project and Art. Each Prism measures 2" which includes the top jewel octagon piece. 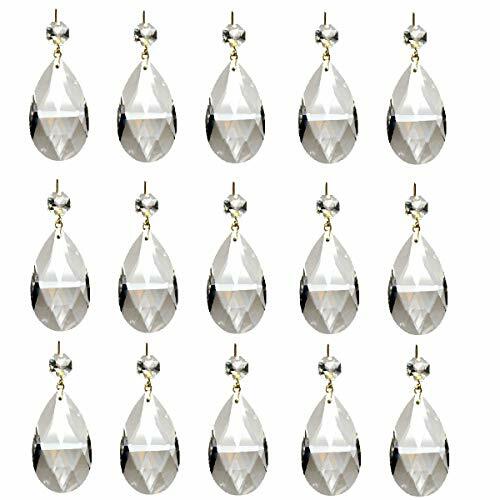 Connectors are Gold Pin.SpecificationName: Aiskaer "Angel Tears" crystal glass pendantsColor:ClearSpecification:Teardrop Crystal(50mm)+ 1 octagonal beads(14mm)Material: All pendants, 100% fine crystal glass, not acrylic material! (Pay attention to identify)Note:quality product from Aiskaer Co Ltd., products are crafted from high-quality crystal glass, it is not acrylic or plastic. 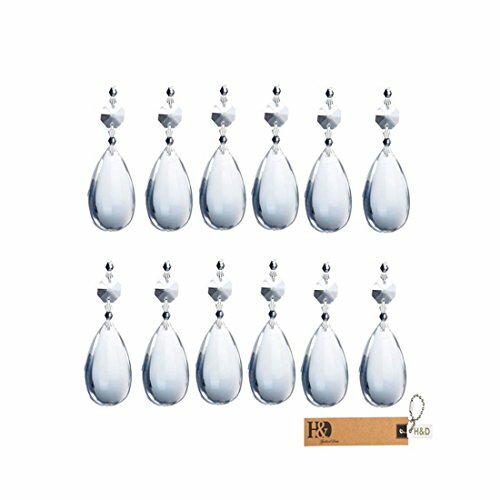 Each glass pendant we are carefully packaged separately to avoid damage caused during shipment, and we are committed to providing the best service and the best products for every customer. This beautiful chandelier prisms are not made of no plastic or acrylic but top excellent quality crystal glass. They have super refractivity, never fade or become black. 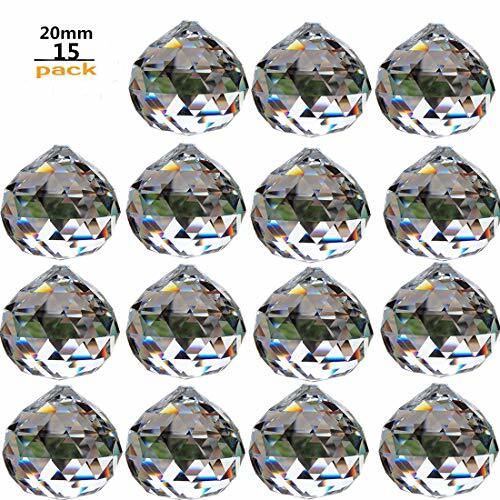 This beautiful collection of 20 high quality new faceted clear teardrop crystal glass prisms can be used for chandelier pendants, suncatchers, crystal strands, weddings, baby rooms, christmas tree decorations, art projects, jewelry making, necklaces and other any project you like. 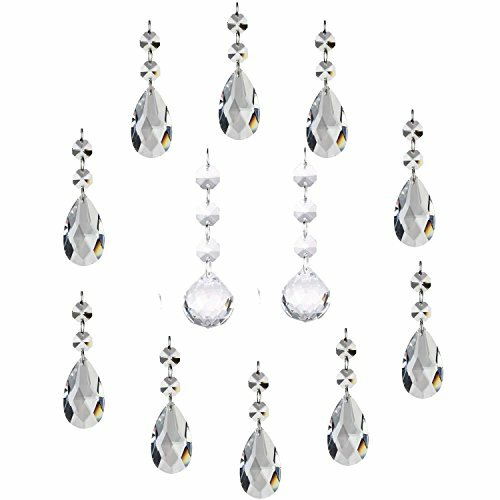 Each crystal teardrop glass main chandelier prisms measures 1.5"/38mm height and includes two 0.5"/14mm top jewel octagon beads and has a total hang of appx 3.35"/85mm, connected with stainless jump rings. 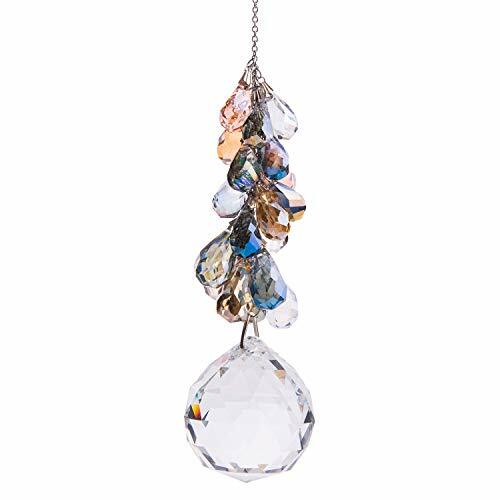 This chandelier crystals throw the light or sunlight into rich and bright rainbows and make beautiful light refraction round the room. 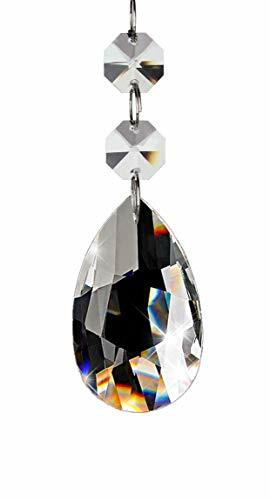 Gorgeous prism crystal for window, garden, office or car rear view mirror. 3" double drop prism with iridescent aurora borealis finish. Nice feature is that the prism has colors even without the sun shining through it. Absolutely stunning and a unique design. Come with a square box, ready for gift-giving. It's a good choice when you picking a handmade projects for families or friends on special day, like mom, sisters, co-worker, teachers, or even for yourself. No worry for scratching or chipping on the way. They will love these rainbow prisms! 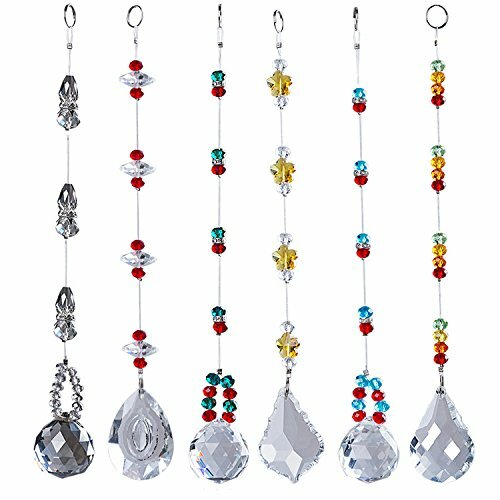 Color:Clear + ColorsPdobo crystal suncatcher ornament:Great for Chakra Crystal ,Feng Shui Decoration,Suncatcher for Windows,Rainbow Maker.Our crystal ball prism suncatcher is a combination of pendants and prism. Crystals Pendants made with colorful jewelry crystal, and clear Crystal Sphere Prism made with quality K9 crystal - no bubbles, no scratch.Each crystal suncatcher ornament comes with organza sheer bag.Feature: colorful, transparent and flawless, just hang it in sunny and the rainbow cascade aroundMaterial: K9 Crystal prism,jewelry pendants,stainless steel chain and lobster-claw claspMeasurements: Crystal Ball Prism:1.57"(40mm)Stainless Steel Chain:20"(50cm)Crystal Pendants:22pcsOrganza Sheer Bag Size: perfect for 40mm Crystal Ball Prism and PendantsPackage Includes:1 X Crystal Ball Prism1 X Stainless Steel Chain1 X Organza Sheer Bag1 X Beautiful Iron Storage BoxCare Tips for crystal Jewelry:*Keep it dry and away from chemicals, sweat, bath , and Avoid friction and hard objects to avoid scratches. *Rub your Jewelry with a clean soft cloth to bring back the shine.Warranty:If you're not satisfied with our product, please email us, we'll either offer you a replacement new one or issue a full refund for you. 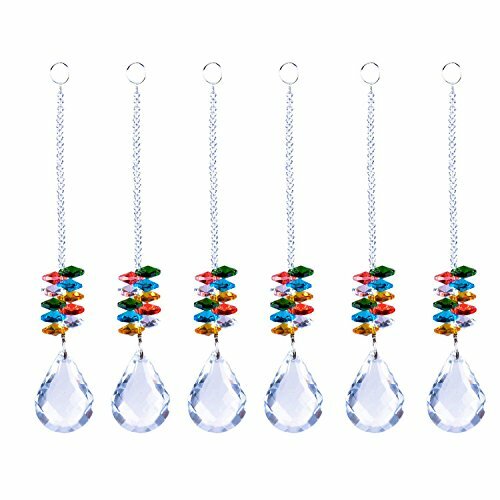 Brand Name:SHINY HANDLES Product Name: Chandelier Crystals Teardrop Shaped Prisms Chains The Lengh of Whole Product: 225mm/8.86"×4 Quantity:: 4 PCS. 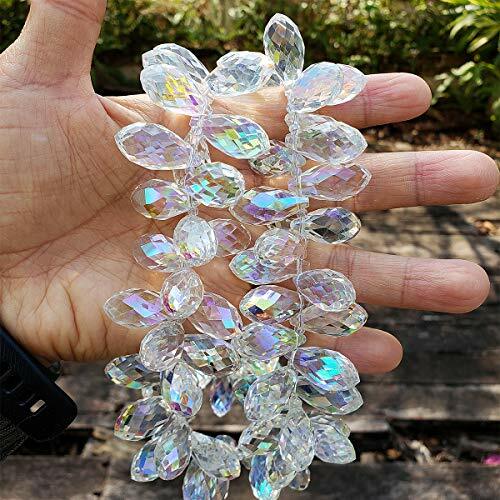 Product Material: K9 Crystal, Not Acrylic Not Plastic Features: Work well for sun catchers, splatter the sunshine into rainbows, and makes a romantic atmosphere. 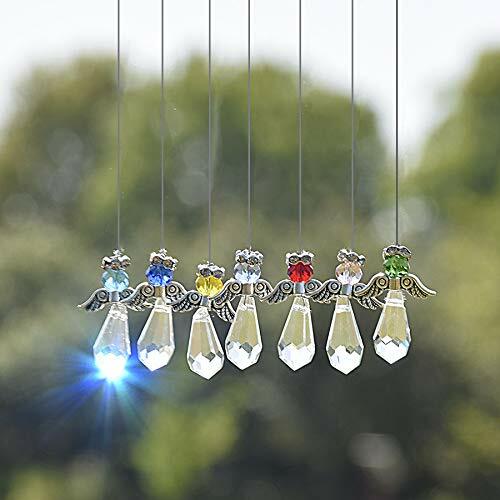 Hung in windows, crystals can bring chi energy from the outside into dark areas of your home or office.A crystal placed in the south-east, north-west, or center of a room can aid in stimulating prosperity. 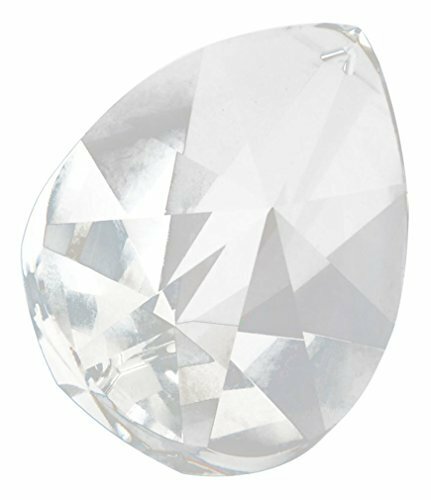 Only the finest quality lead crystal is used which makes them the most valued type of crystal. Each is made with a hole for hanging in your window or attaching to projects.They make great gifts! The sparkle in this crystal a makes it a gorgeous and easy gift or ornament!These are priced to sell! 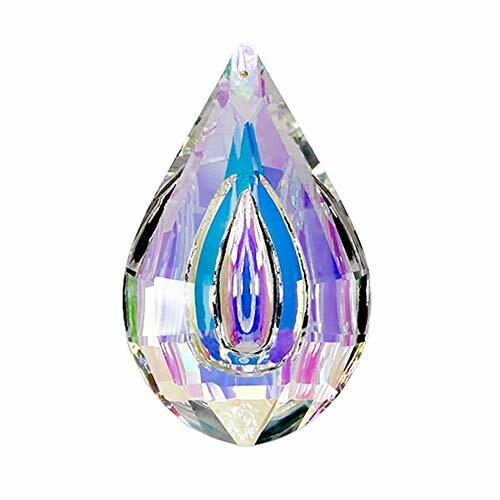 This crystal prism is gorgeous! LightReflectionCanMakeYourSpaceLookBigger!Lightreflections areaneasyandeffectivetricktomakeyourspaceappearmoreopenandaddawarm andwelcomingtouchtoit.Thankstothesebeautifulchandeliersuncatcher, youcancreatelightreflectionsinyourhouseorofficeinthemoststylishandelegant way.Theoctagonalcrystals,teardropcrystalsandchakracrystalballsare guaranteedtobrightenyourspaceandyourday!HereAreSome Decoration Ideas!Youcanhandthecrystalpendantsonmanydifferent placesbothinsideandoutsideyourhouse,includingyour:Chandeliers WindowsWallsShelvesCabinetsCurtainsCar PorchBalconyFrontdoorTreesPlantsBecreative andplacetheelaboratesparklysuncatchersonspotswheretheycouldeasilycatchthe sunorartificiallights!CrystalPendantsThatAreAsDurableA Stone!Thelengthofourshinycrystalballsis7.87inches(20cm),whilethe sizeofthependantis1.18inches(3cm).Thesmallandlargecrystalsofthe decorativeprismsareofsuchgoodqualitythattheywillnotgetruinedorcloudy easily.Bypurchasingtheseuniquelycraftedchandelierprisms,you'remaking aninvestmentthatyouwillneverregret!GetAChandelierSuncatcherSet Today!Sowhatareyouwaitingfor?Getyourveryownprismaticpendants andtransformyourhomeorofficeintoabright,welcomingspace!Don'twaste anotherminute!PlaceAnOrderWhileOurSuppliesLast! Simply divine! 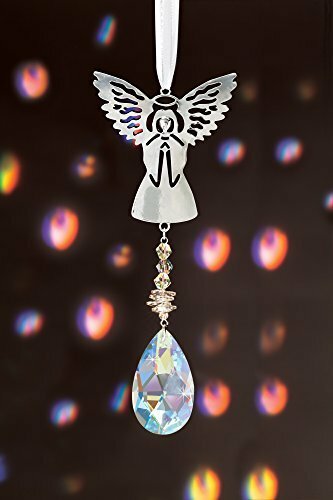 Hang in any window or doorway and enjoy the stunning halo of light that envelops this serene silver-tone angel. 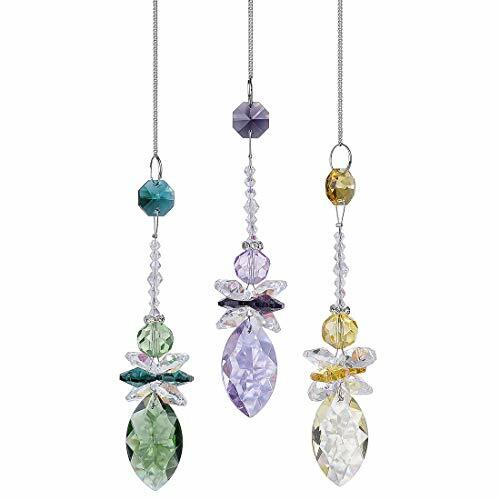 Faceted crystals hang below and create rainbows of color as they catch the sun's rays. 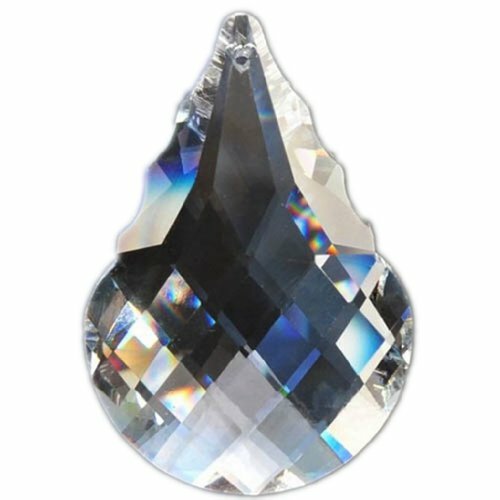 Lavish faceted crystals have an aurora borealis finish. Imported. 6"l with 4"l ribbon hanger. Advantages: Every product has been carefully selected and packaged, you can see our seriousness. Style and color are the most popular, but also has a variety of DIY fun, increase you, and family, friends happy time. Product packaging are as much as possible with the best materials, as well as giving a variety of small gifts, you get more concessions, convenient and fun. Nice beads for jewelry making. Care and cleaning: The hardness of the glass bead is low and it is easily scratched, so try to prevent the collision. The daily cleaning can be wiped with a wet towel. 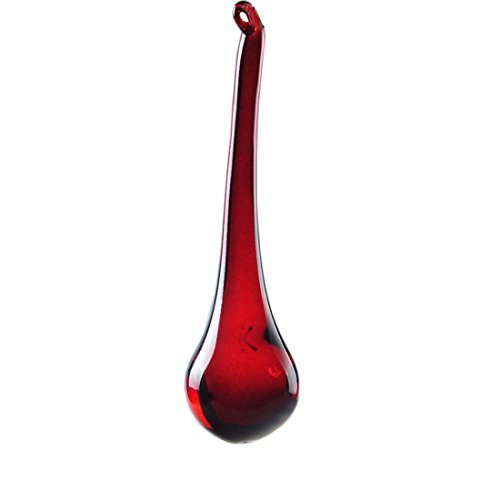 If the oil is contaminated, a little household detergent can be sprayed first, but the acid and alkaline detergent can not be used. Kindly Note: 1.Since the size of the beads is measured by hand, the actual size of the beads that you received could be slight different from the size above. 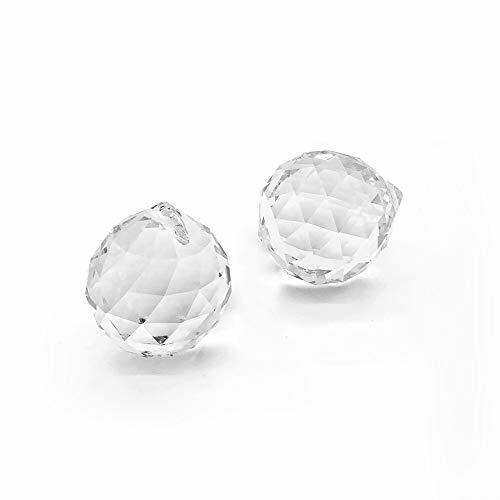 2.Due to the influence of light, monitor's brightness/contrast settings etc, the loose beads may be a little different from the one shown in the picture. We will try our best to reduce these differences when we purchase products from factories. Thanks for your understanding. If you have any questions, please contact us directly, we will respond to you in time. Thanks for your kindness and shopping. 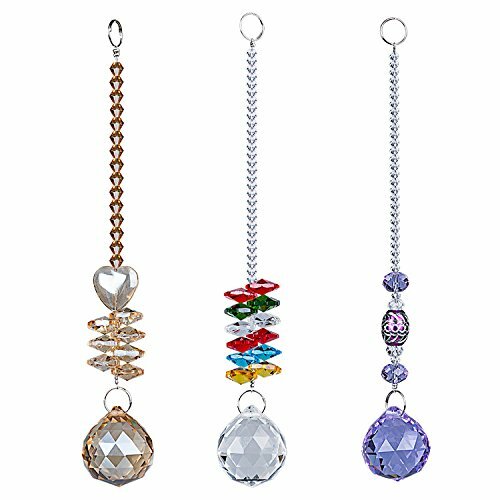 The MerryNine prism suncatcher pendants : TOP K9 crystal material make them sparkling colorful Perferct any Docorations: The MerryNine chakra crystal is strung with sparkling colorful crystals, the crystal which is used for pendants of necklace, earring and other jewelrys, has a beautiful light-catching effect. 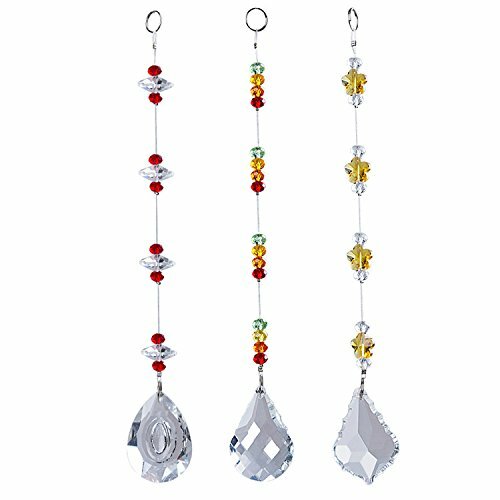 Better Suncatchers: Combined with flawlessly clear crystal ball prism, it is a perfect sun catcher. 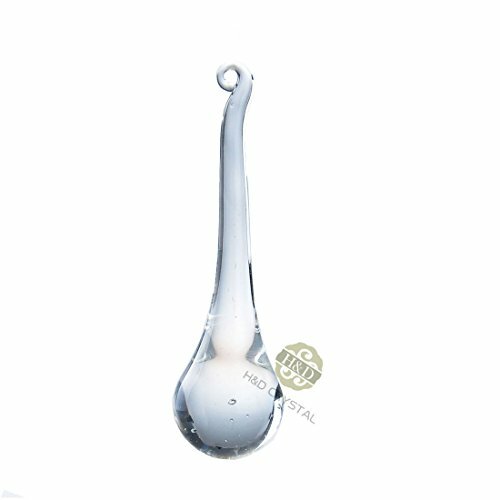 Compare prices on Teardrop Suncatcher at LiveSaler.com – use promo codes and coupons for best offers and deals. We work hard to get you amazing deals and collect all avail hot offers online and represent it in one place for the customers. Now our visitors can leverage benefits of big brands and heavy discounts available for that day and for famous brands. We try to makes comparison shopping easy with Product Reviews, Merchant Ratings, Deal Alerts & Coupons. Find Deals, Compare Prices, Read Reviews & Save Money.